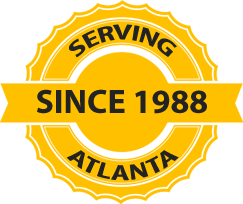 AtlantaRoofing.Com takes extra care to make sure that your new gutters are installed properly. We take careful measurements of the entire roof-line to make sure that the gutters line up with the roof on every corner to prevent leaks. All of our gutters are installed with hidden screw hangers to provide more support over the entire expanse of the roof, which means you will have a better looking and longer lasting gutter installation than some of our competitors’. Rain Gutters are an essential part of every home’s rain water management system. Whether you live in an area which receives large amounts of rain every year, or just the occasional storm, it is important that you protect your home with a properly installed gutter system. AtlantaRoofing.Com recommends Seamless Aluminum Gutters. Seamless Gutters are better, because they are custom designed for your home. When you choose PGRS, we use a technology that enables us to custom fabricate your gutters on site. This provides us with the ability to create the various lengths required to match the roof-line of your building. With seamless gutters, the entire gutter is seamless. The only connections that are required are the connections to your downspouts. This increases the durability of your gutters, allows for better flow & eliminates leaks that typically occur in gutter seams. various colors to choose from to match your home’s exterior. Seamless gutter technology and hidden screw hangers for a stronger hold. Highly skilled & trained professionals that you can trust. People who will treat your home with the respect it deserves.